As the share trading is mandated to be in dematerialized form, these service is an imperative part of the service profile. Not only it provides a DEMAT service to retain and hold the shares, but also provides trading services. This is also an imperative service in the bouquet. Angel Broking offers advisory services to its customers to help them in making investment decisions. It maintains a research team which undertakes detailed analysis of the current economic scenario, the market trends and makes certain projections to propose different strategies that the investors can consider to adopt. It issues periodical newsletters which contains the analysis, the statistics, the articles etc. This services is mainly relevant for high net worth individuals (HNI). Under this service, the angel broking’s representative assists the customers with customized investment strategies. A PMS provider typically obtains a detailed understanding of the customer’s ultimate investment and then devices suitable strategies. The strategy may include multiple instruments like shares, derivatives, currency, commodity, mutual funds etc. Angel Broking also provides a health check for an investor’s portfolio. Under this service, the customer’s existing portfolio is analysed to identify the potential improvement areas, highlighting the stale assets lying in the portfolio and suggesting the better assets to invest in. Angel Broking allows its customer to pledge their shares in the name of AngelFinCap. Against such lending, the customer gets certain funds in form of loans. The customer is not required to pay any EMI against the said fund. This helps the customer to meet the fund requirements without having to liquidate his/her portfolio and thus need not forgive the benefits like dividend or bonus or the interim gain. Initial public offering – as the name suggest refers to an event where a company makes an initial offer to the public to subscribe to its shares. This is different from the typical trading as these shares are not yet listed on the exchange, rather will be listing for the first time unlike the trading wherein the instruments under consideration are already listed on the exchange. 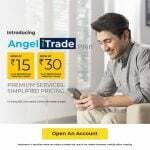 Angel Broking assists the customers by helping them in subscribing for such IPO shares. This is one of the major Angel broking services.